Best Adapted Screenplay refers to a screenplay on which the material is based on another medium (examples being short stories, novels, plays, comic books, TV shows, video games, short films, newspaper articles, or even previous films). In the last decade in particular, Hollywood has been churning out more and more films based on existing properties (largely in part due to an already established name brand). These adaptations have been mostly hit or miss; for every great adaptation (Hugo), there is an extremely poor one (any Twilight film). Although a lot of terrific adapted screenplays have been nominated in the past, there have been some major snubs that the Academy has missed out on. One major snub is 1950’s In A Lonely Place. Written by Andrew Solt (and an uncredited Nicholas Ray) from an adaptation by Edmund H. North and based on the novel by Dorothy B. Hughes, the script focuses on Dixon Steele, a Hollywood screenwriter with a volatile temper who’s accused of murdering a young woman. A pretty new neighbor provides him with an alibi, and Steele enters a complicated relationship with her soon after. The script is tight, and the strong dialogue is enhanced by the performances of Gloria Grahame and especially Humphrey Bogart. The script is faithful to the source material, but with the exception of a few changes (particularly the ending). It’s such a shame that Solt wasn’t nominated for his work here, for he had never received an Oscar nomination. Another major snub is 1979’s The Tin Drum. Written by Volker Schlondorff, Franz Seitz, and Jean-Claude Carriere, and based on the novel by Gunter Grass, the script focuses on Oskar Matzerath from the 1920s to the 1940s. By the age of three, he sees the hypocrisy of the adult world and decides to stop growing. From that day on, he travels everywhere (even through the hardships of World War II) with his tin drum, a birthday present, and gains the ability to shatter glass with his voice. The script was adapted from the first two parts of the novel (which was comprised of three parts). In the novel, the tin drum symbolized Oskar’s protest against the middle class mentality of his family and neighborhood of Danzig (which was translated to the screen with great effect). It’s too bad they weren’t nominated for this film. Carriere is a four-time nominee (2 Adapted Screenplay nods for 1977’s That Obscure Object of Desire and 1988’s The Unbearable Lightness of Being, 1 Original Screenplay nod for 1972’s The Discreet Charm of the Bourgeoisie, 1 Live Action Short Film win for 1962’s Happy Anniversary). Seitz and Schlondorff have never received any Oscar nods. One major snub that definitely comes to mind is 1980’s The Shining. Written by Stanley Kubrick and Diane Johnson and based on the novel by Stephen King, the script focuses on the Torrance family and their stay at the Overlook Hotel. Patriarch Jack recently took the job of caretaker, and he, his wife, and his young son spend the winter mostly isolated from the outside world. Madness slowly sets in for Jack, and his son’s mysterious power may be the only thing to save himself and his mother from Jack. Kubrick made several changes from the novel (which dissatisfied King, which was ironic since Kubrick’s film is still the best film adaptation of a Stephen King novel), and he built an atmosphere of suspense into the script that made the experiences of simple characters so compelling. It’s such a shame that Kubrick and Johnson weren’t nominated for their work here. Kubrick is a 13-time nominee (4 Adapted Screenplay nods for 1964’s Dr. Strangelove or: How I Learned To Stop Worrying and Love the Bomb, 1971’s A Clockwork Orange, 1975’s Barry Lyndon, and 1987’s Full Metal Jacket, 1 Original Screenplay nod for 1968’s 2001: A Space Odyssey, 4 Director nods for 1964’s Dr. Strangelove or: How I Learned To Stop Worrying and Love the Bomb, 1968’s 2001: A Space Odyssey, 1971’s A Clockwork Orange, and 1975’s Barry Lyndon, 3 Picture nods for 1964’s Dr. Strangelove or: How I Learned To Stop Worrying and Love the Bomb, 1971’s A Clockwork Orange, and 1975’s Barry Lyndon, won Visual Effects for 1968’s 2001: A Space Odyssey). Johnson has never received an Oscar nod. Another major snub would be 1987’s The Untouchables. Written by David Mamet and based on the book by Eliot Ness and Oscar Fraley, the script focuses on Ness’ arrival in Chicago with the mission to put Al Capone behind bars. Mamet’s script is tight, focusing on the group that is eventually known as the ‘untouchables’ as well as Al Capone, putting them on course for a courtroom showdown in the third act. Mamet’s dialogue is spot-on for the characters, but not indicative of the ‘Mamet-speak’ that would dominate the plays and films he made afterward. Overall, a terrific adaptation that necessitated the changing of some historical facts in order to serve the story. It’s a shame Mamet wasn’t nominated for his work here. He is a two-time nominee (2 Adapted Screenplay nods for 1982’s The Verdict and 1997’s Wag the Dog). One final major snub would be 2008’s The Dark Knight. 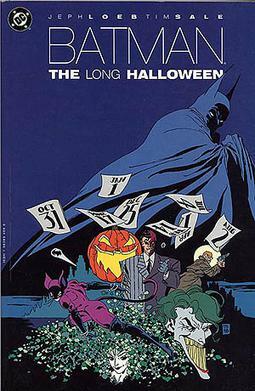 Written by Christopher and Jonathan Nolan from a story by Christopher Nolan and David S. Goyer and based on characters created by Bob Kane (as well as loosely based on the Batman graphic novel The Long Halloween by Jeph Loeb), the script takes place roughly six months after the events of 2005’s Batman Begins. It focuses on Batman’s war on the mob, aiding the efforts of District Attorney Harvey Dent, until the mob turns to the mysterious criminal known as the Joker. The Joker has a number of sadistic “games” set up for both Batman and the people of Gotham City. The script takes its time to properly set up events (which is a good thing; it was one of the year’s most gripping dramas) that serve the story’s widening scope as it tests Batman’s endurance (and takes the audience along for the ride). It’s too bad the Academy didn’t nominate the Nolan brothers and Goyer for this terrific work. Jonathan Nolan is a one-time nominee (1 Original Screenplay nod for 2000’s Memento). Christopher Nolan is a three-time nominee (2 Original Screenplay nods for 2000’s Memento and 2010’s Inception, 1 Picture nod for 2010’s Inception). Goyer has yet to receive a single Oscar nod. Other films that were considered include 1967’s Point Blank, 1995’s 12 Monkeys, and 2009’s Watchmen. This entry was posted in Oscar Talk and tagged 12 Monkeys, 2001: A Space Odyssey, A Clockwork Orange, Al Capone, Andrew Solt, Barry Lyndon, Batman Begins, Best Adapted Screenplay, Bob Kane, Christopher Nolan, David Mamet, David S. Goyer, Diane Johnson, Dorothy B. Hughes, Dr. Strangelove Or: How I Learned To Stop Worrying and Love the Bomb, Edmund H. North, Eliot Ness, Franz Seitz, Full Metal Jacket, Gloria Grahame, Gunter Grass, Happy Anniversary, hugo, Humphrey Bogart, In A Lonely Place, Inception, Jean-Claude Carriere, Jeph Loeb, Jonathan Nolan, Memento, Nicholas Ray, Oscar Farley, Point Blank, Stanley Kubrick, Stephen King, That Obscure Object of Desire, The Dark Knight, The Discreet Charm of the Bourgeoisie, The Long Halloween, The Shining, The Tin Drum, The Unbearable Lightness of Being, The Untouchables, The Verdict, Twilight, Volker Schlondorff, Wag the Dog, Watchmen. Bookmark the permalink. Good choices as always, but I think “The Dark Knight would have been a stretch. Not necessarily. It did get a nod from the Writers Guild of America, as well as winning the Saturn Award for Best Writing, but I do understand where you’re coming from. As the daughter of one if the film editor’s you referenced, thank you! Nice to see talent recognized! Reblogged this on THE CINEMATIC FRONTIER.